Are you hiding a frightened facade you don't want others to see? 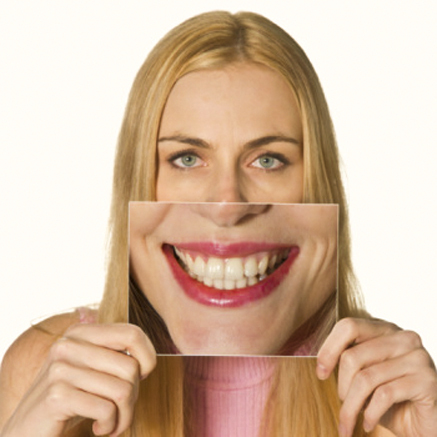 Do your fears and emotions prevent you from caring for your dental health? Do you desperately want to change that and know what it is like to be happy in a dental environment? You can lose your fears and anxieties, enjoy your dental visits and Dr. Prus will show you how. He has been trained in medical/dental hypnosis and through those studies he has learned to understand the difficult emotions that fearful patients present and how to help patients overcome them. He knows the root cause of your fears and anxieties and he has the solution. Most phobic/fearful patients have been 'abused' by their dentists at some point. Personally we have heard many stories from patients at CDE explaining where their dental fears grew from. In most cases it is a very sad story; sometimes it is horrific. In spite of such experiences it is almost always possible to rid your life of these burdensome emotional fears. So many patients come to CDE overburdened with fears they have carried for years. WE LOVE THOSE PATIENTS AT CDE. The reason is we understand how you feel and have the key to unlock the door that allows you to pass through to a world of little or no dental anxiety. We will support you and allow you to gain a voice in what we do. Dental treatment is a vulnerable experience for almost all patients. All patients know the dental drill has a special capacity to cause pain and they can't control it, so they sit in the chair with some level of anxiety. What Dr. Prus has learned is to ask for your permission to do a procedure, right at the start. Throughout the procedure he will repeat his request, "How are you doing? Is everything OK?" He does that precisely to let the patient know they have a say in any procedure. His goal is to create a bond of trust between himself and each patient and within the patient themselves. In time they start to believe in themselves and the fears slowly melt away. For phobic patients it is a life changing experience. Listen to what he recently said in a local regional magazine. Then call CDE and change your life. The following is an article from Hudson Valley Magazine's 'Ask The Experts' online column (Edited and rephrased in part to accommodate this website). Disliking a dental experience can be commonplace but is accommodated by most patients to some degree. Just another part of life we endure. Extreme dental fears and phobias are entirely different. What is dental fear (phobia)? How does it differ from ‘disliking’ a dental experience? DISLIKE: Since most dental treatment involves an anesthetic injection, it is fair to say most patients don’t look forward to the ‘shot’ except, perhaps, as a mechanism to avoid something worse. That is a typical example of disliking a dental event. It can happen at many levels and we teach ourselves to deal with it best as we can. This works for most patients. FEARS AND PHOBIAS: Dislike, however, does not come close to the emotional turmoil that highly fearful people have at the mere thought of being at a dental office. For those individuals who experience it, it is paralyzing. They impulsively avoid all things dental. As a result, their dental health suffers, often greatly. That does not need to happen. Why are such patients so paralyzed at the thought of going to the dentist? Over time everyone will forget many of the details of an unpleasant event, but not as easily how they felt about it. Fear is an emotional reaction and it wins over logic for fearful dental patients. They fear things which they feel (emotions), not know (logic), can harm them in some way and that they don’t have control over. Experience has shown this fact drives their emotional reaction and they then relive their emotional event as they perceive it, and they fear it can happen again. For fearful patients, I have found a traumatic event was almost always accompanied by their inability to influence it. The lack of having any say or influence in the event during their dental experience is the primary cause of their dental fear. It was not just the pain or suffering. Emotional trauma is the result. What are the Ways to Counter Dental Phobia? The phobic patient will, however, still retain their fears after the procedure with sedation. Their only recourse is to continue with the sedative approach for most dental care. There are always costs and potential medical problems with any form of sedation and they must always be considered and properly explained to a patient. 2. The second choice involves learning how to overcome and move past your fears. It involves patient-dentist teamwork and it is not as difficult as it may seem. Here is how it is done. How does a dental patient gain control over their environment and bypass their fears? CALL CDE NOW FOR AN APPOINTMENT AND CHANGE YOUR LIFE FOREVER!